ChessMaine: ChessMaine.net Championship June 28th--Don't Miss It! ChessMaine.net Championship June 28th--Don't Miss It! 06.25.08 The 2nd Annual ChessMaine.net Championship will be played at Colby College in Waterville on Saturday, June 28, 2008. A $400 prize fund based on 30 entries has been established with $100 going to the winner and $50 to first in each section A-E and U1000. Check out the roster of confirmed players and look over the registration material. It's not too late to register! 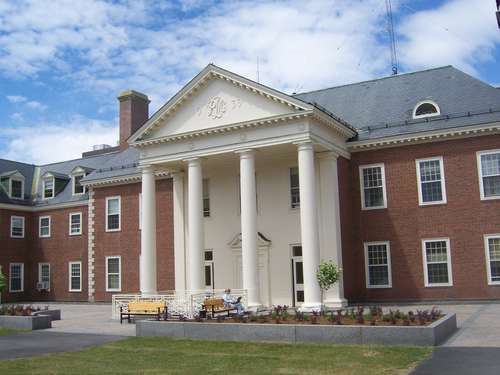 The Roberts Building at Colby College will be the site of the 2nd Annual ChessMaine.net Championship on June 28, 2008. It's not too late to register!